Nowadays the laptops have eliminated the PCMCIA slot,but adopt the ExpressCard slot.So we especially develop the CP5512E for ExpressCard laptop. The function of our CP5512E is the totally same as Siemens original CP5512 except they use on different laptop interfaces.It’s the isolated PROFIBUS/MPI/PPI/FWL communication card specially for laptop, use iCoupler Magnetic Coupling isolators to replace the optocoupler,with small dimension, wide temperature range,and have anti-lightning and surging protective circuit and resumption of Overcurrent protection circuit on the RS485 interface, all use industrial IC in order to apply to wider temperature range, is used to achieve PROFIBUS/MPI/PPI/FWL communication connection between laptop and SIMATIC. 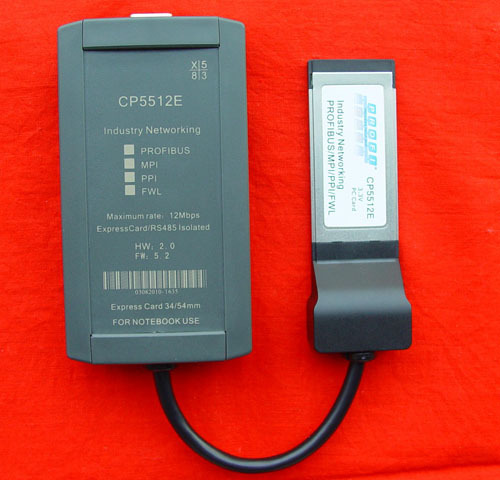 CP5512E also can be used on PCI-E slot of desktop computer after the PCI-E to ExpressCard converter, the function is same as Siemens CP5611,CP5621. CP5512E support hot plug and plug and play. Perfect isolation circuit and interface protective circuit make you at ease to use it. CP5512E and CP5512 can run Windows2K/Server 2008/XP/Vista and other 32 -bit operating system does not support 64 -bit operating systems. Does not support Windows 7 (32/64 bit) operating system. It’s different from PC Adapter and PC Adapter USB, CP5512E supports much more hardwares,such as Siemens S7-200/300/400PLC, PPI/MPI/PROFIBUS interface of touch panel, EM277,ET200 and other hardwares with PROFIBUS/MPI/PPI/FWL interface. 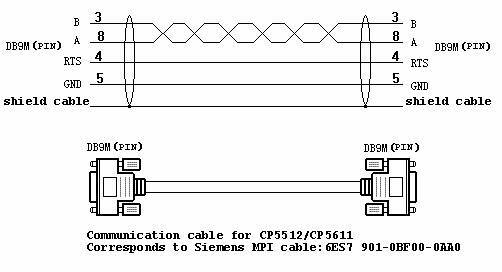 It need PROFIBUS cable or MPI cable(Siemens part nr 6ES7 901-0BF00-0AA0) when CP5512E communicates with fieldbus devices.